Today I attended the DFW Rocks Social Media seminar. 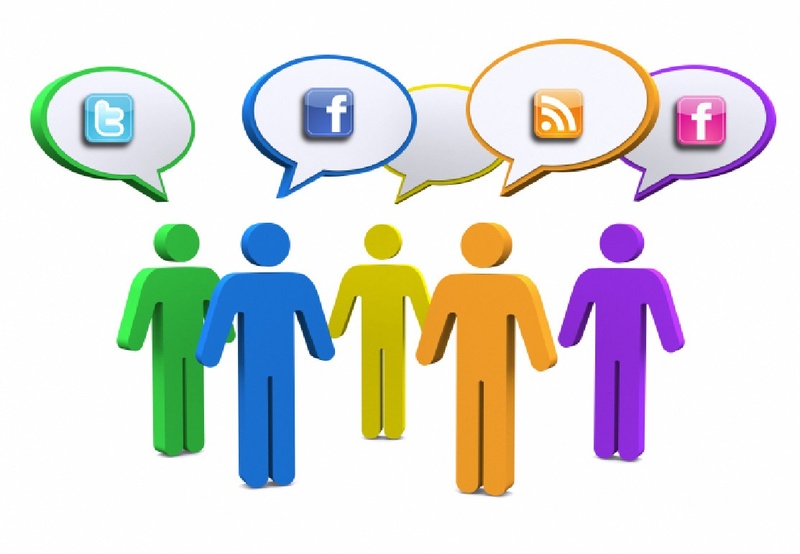 It was a smorgasbord of different social media platforms, perspectives and networking. After a busy Saturday I wasn’t sure how I felt about getting up early to spend all day in a hotel conference room. After the first 2 presentations I knew I made the right choice to be there. The first presentation was by Johnny Tan. He spoke about relationship building. What perfect timing as I was about to meet a lot of new people throughout that day that one day I might be able to help them in one manner or another or they may help me. Then it hit me how unprepared I was. I need personal business cards. I have cards for my day job and I made cards for my blog but they don’t have any contact information on them. Looks like I have a new project! The second presentation was by Kate Buck. I couldn’t take notes fast enough. She spoke about how to get results from a business Facebook page. Again – what perfect timing. Just this month I’ve officially started volunteering with the Golden Retriever Rescue organization where my Lola came from. One of the responsibilities I’ve taken on is to help administer the Facebook page. Kate spoke about how different types of interactions with followers get you different results, she shared some different ways to engage users, as well as tools to monitor your progress. I got so many idea I hope I remember them all! All the presentations were great and all the attendees that I met were nice too. They genuinely seem to care about everyone there and care about helping you move in the direction you want to go in. Even if say…you’re not sure where you’re going, like yours truly. What could have been a very intimidating situation since I don’t have any real-world social media experience with clients turned out to be very encouraging day. I never felt out of place. After dealing with a pretty heavy case of burnout, I finally feel like I’m on the right track. I’m working on the things I wanted to this summer and at my own pace. It feels good! So, the case of burnout that I wrote about a few weeks ago was a much worse case than I thought! Over the past…sadly close to 2 months since classes have ended I haven’t felt the full feeling of relaxation I thought I would have had this summer. I’m not sure what has been preventing me from getting there so I’m going to blame it on the burnout! How do you fix burnout? My guess, just step away from everything. I have a vacation planned in a few weeks so in attempt to get away from everything, I took a few days off from work for a staycation. I think it worked. I was able to fully relax, I didn’t check work emails once!! AND I was able to finish some projects in my backyard that gave me the feeling of accomplishment that I had needed. I had felt like I should have all this time on my hands without classes and homework but I couldn’t see what was getting done. Now I can every time I step out in my backyard. 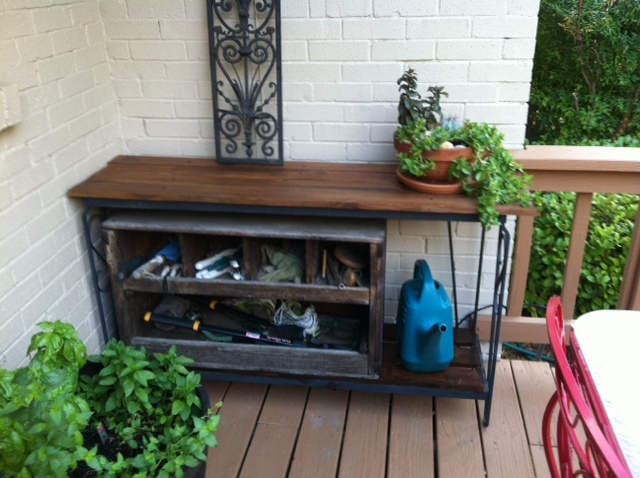 Table made from an abandoned aquarium stand. 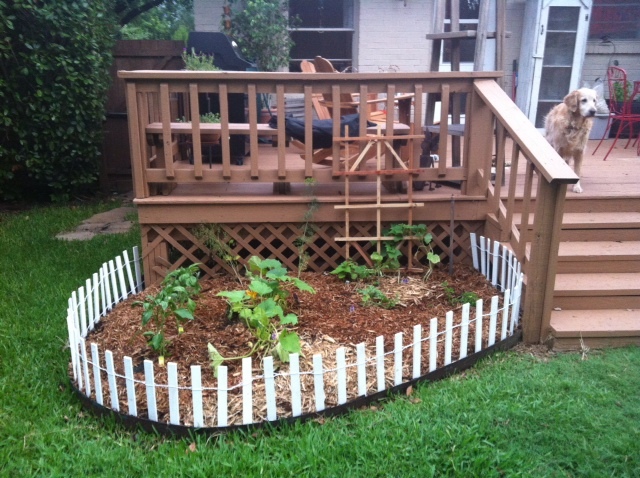 Vegetable garden planted in a cleaned out flower bed where the plants weren’t surviving the heat the past few summers. So note to self, next year when I finish up my degree, plan a vacation immediately after. I can catch up on the world after I’ve hit the beach! Now on to the fun blog stuff. I have been playing with different social media platforms and will start sharing with you soon. 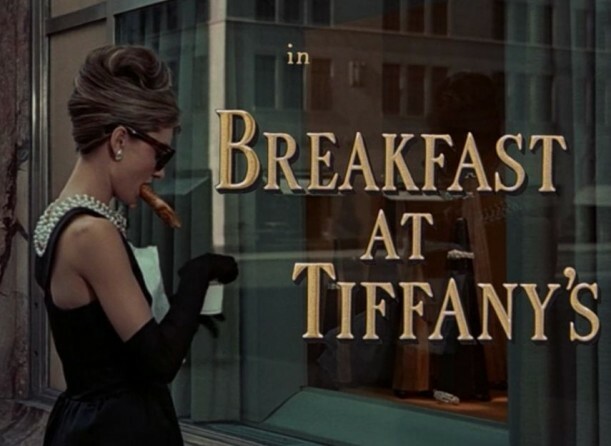 What would Holly Golightly have done with a smart phone? “Moon River” is playing in the background as Holly Golightly strolls down the street stopping in front of Tiffany’s window to gaze at the sparklies inside. This is easily one of the most iconic window shopping scenes known. Even though she wasn’t actually shopping, what would Holly have done with a smart phone or say an internet connection to check the sales going on before heading out? Maybe what I did just last week…. Guilty! I price compared items online vs. in the store before making my purchase. In the past, our window shopping was done by physically walking along the storefronts, now our window shopping is done digitally on our computers, tablets or smartphones. I’m one for instant gratification. I love the splash emails of great sales or merchandise I normally wouldn’t see on my own. With one click I can make my purchase and it shows up on my porch in a few days. Or if I go to the mall, I like the instant gratification of walking out of the store with my merchandise. But last week I logged on to Gap.com to see what items were on sale and had planned on “showrooming” to find the size I needed. Then planned on making my purchase online later, taking advantage of the 40% off promotion online. Showrooming – the practice of examining merchandise in a physical store without purchasing it but shopping online to find a lower price for the same item. Once in the Gap, I found there were special offers in the store vs. the promotions online so what is a girl to do? Take advantage of both. I bought the items in the store that were on sale and not discounted online. Then later that day…of course when I got home because no one shops online while at work, I ordered the items I wanted that weren’t on sale in the store, taking advantage of the online discount. Win-win the way I see it. 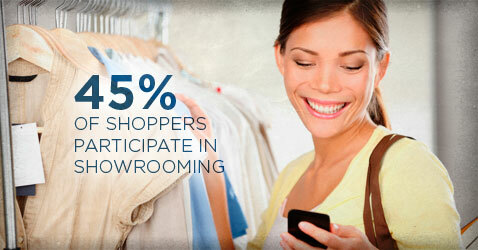 What happened in the store is what many retailers are doing to combat showrooming. They are offering specials that aren’t available online. Along with the new trend of showrooming, there is the opposite trend called webrooming (or e-rooming), which I’m guilty of as well. The laptop I’m typing on now is a result of online research and a purchase at Best Buy for my instant gratification of the product in my hand. Webrooming – searching for products online for the best prices, then making the purchase in the store. As the consumers we have more control for what we pay for an item than we’ve ever had before. Have you showroom or webroom shopped before? If so, how was the experience? I personally felt very in control of how I was spending my money and it made my purchases seem less impulsive…and less guilty. For those of you that watch HBO’s Game of Thrones, I’m sure you’re still a bit numb from Sunday’s episode, I know I am. For those of you that don’t follow it – sorry this post is not going to make sense at all. Before the episode started, my friend Matthew and I were talking about all the different story lines going on and wondering how they were going to wrap at least some of them up with only 2 episodes left in the season. The answer to that questions – just literally kill one whole story line off! WOW! I knew something was coming when the big double doors shut but did not see THAT coming! 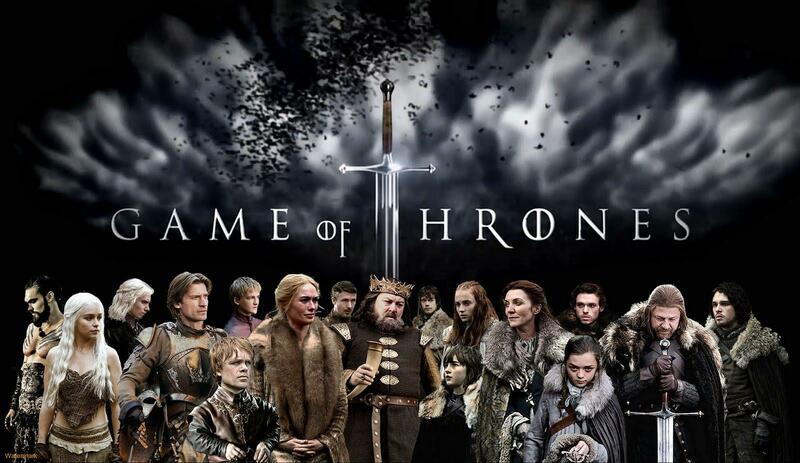 If you need a little humor to help remind you it’s only a TV show, you need to read 20 Funniest Twitter Reactions to ‘Game of Thrones’ . Have a good rest of the week! And let’s see what this Sunday brings….